When you want to get the best results for applying antifouling paint on your houseboat, there are some simple tips to improve your chances of getting GREAT results. In my case, my houseboat was due to have its antifouling paint redone and I had TWO options. 1) The first one was to have a shipyard or a marine service dept do the whole job (this is very pricey). 2) The second method was to DIY (do it yourself), and potentially save myself a boat load of money $$$. Since I decided to DIY, one of the biggest mistakes I saw on the internet made with antifouling paint is the lack of properly mixing ALL the cans contents. 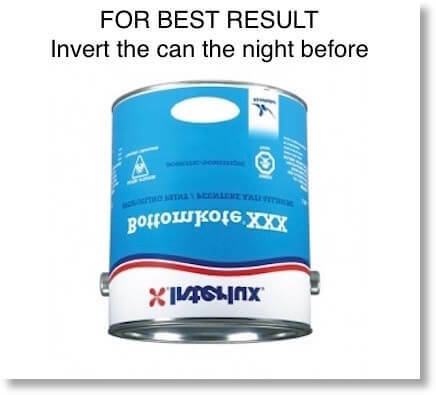 One way to solve this issue is to invert (flip) the can over the night before. This step really helps to get all the solids (ingredients) from the bottom of the can and allows you to COMPLETELY mix the ingredients the day you are applying it. Hi Ron, thanks for taking the time to post in our houseboat forums. allow the solids (in the bottom of the can) to be completely mixed the day that you are applying it. Now some people may not know that the majority of the cost of applying antifouling paint is due to the labor involved in "preparing the surface". If you only need to apply a "fresh coat" on top of an existing antifouling base, the labor is greatly reduced. The cost sharply increases when you need to remove the existing old coat of antifouling paint, this is where you need some specialized equipment. You also need to wear proper dust and fume resistant masks & clothing. Thanks again for posting your tip. Do you need some Antifouling Paint? Are you looking for some antifouling paint your houseboat? They have a really wide selection, fast shipping, and GREAT prices. 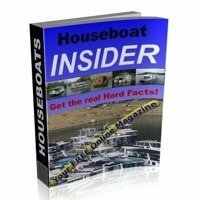 Lastly, hopefully some of our readers and visitors will share and post comments about their related houseboat ANTIFOULING PAINT experiences and tips.